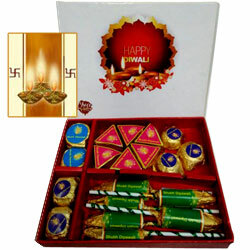 Make the celebrations grander by Sending these Yummy Handmade Chocolate for Deepavali with a Free Diwali Card. The Chocó box will have 12 pcs Dark Handmade Chocolate in crackers shape (150 gms). Make the celebrations grander by Sending these Yummy Handmade Chocolate for Deepavali with a Free Diwali Card. The Chocó box will have 25 pcs Dark Handmade Chocolate in crackers shape (400 gms). © 2007-2019, www.ahmedabadonlineflorists.com, All Rights Reserved.